Hilton Mumbai International Airport Hotel Located 5 minutes from the international terminal and just 15 minutes from the domestic terminal, the Hilton Mumbai International Airport hotel is perfectly placed at one of the most convenient locations near Mumbai airport. 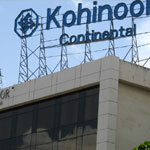 Hotel Kohinoor Continental - Mumbai's (Maharashtra, India) leading 4-Star Business Hotel with 120 luxurious Rooms, excellent conference facilities, multi-cuisine restaurants, bar, health club etc. 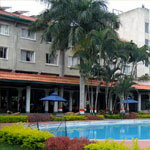 The Hotel is located on Mumbai's most busy Business District (Andheri - Kurla Road) and is very close to the International Airport (At about 1 Km). 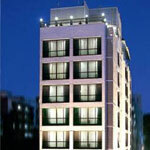 Ramee Guestline Hotel Dadar is ideally located in the commercial centers of Mumbai (Maharashtra-INDIA) city and is 30 minutes drive from the international airport, 15 minutes from domestic airport and 5kms. to the shopping centers, beaches and parks. 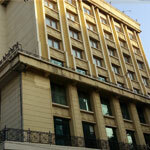 The Shalimar Hotel is an exclusive 4 star hotel, situated in one of downtown Mumbai's elite residential neighbourhood. (Maharashtra - INDIA). It is centrally located, with easy access to the South Mumbai commercial district and shopping areas, and is about a 40 minutes drive from the airport. Andheri Kurla Road, International Airport Zone, Andheri (E), Mumbai 59, India. 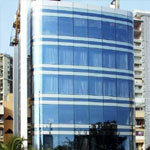 VITS a 4 STAR HOTEL in Mumbai (Maharashtra, India), having 5 star amenties and service at a 3 star price. 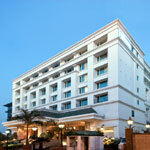 The Hotel's also conveniently located, with only a 2 minute drive to the domestic Airport Mumbai (Bombay) India. 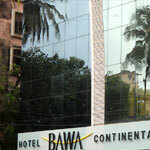 Hotel Bawa Continental is located at 5 kilometers drive from Mumbai domestic airport (Maharashtra, India), and located near one of the most popular beaches of Mumbai, Juhu Beach. 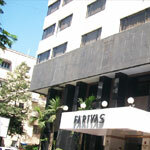 Hotel Fariyas is a 4-Star Business Hotel located at Colaba Causeway in South Mumbai (Maharashtra, India) close to Gateway of India and Museum and business regions of Fort Area, Nariman Point and Cuffe Parade.